Our new collection of scarves True Red Legends. 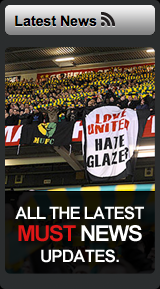 Is a collection of scarves dedicated to celebrating the legends of Manchester United. Each scarf is dedicated to an individual player/manager & includes an image of them at either end with their name in the middle with the years they spent at the club and their shirt number for players or for managers its trophies won.